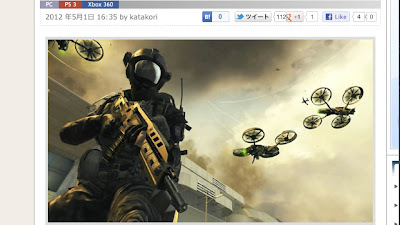 Apparently, screenshots of the upcoming Black Ops 2 game were leaked by a special effects company. 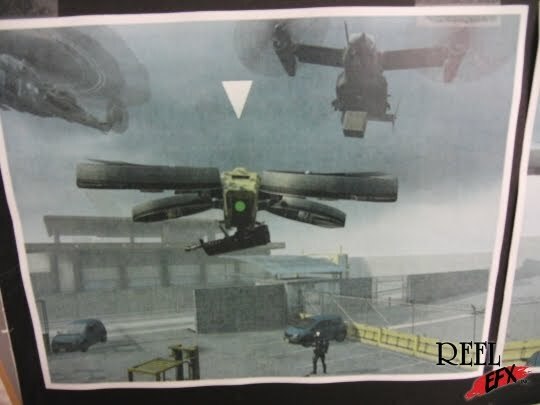 The reason these screenshots are believed to be official is because the Quadrotor appears in them. 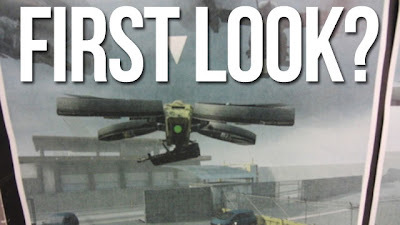 In case you didn't already know, the Quadrotor appeared as a teaser image on the official Call of Duty website. Firstly, here is a piece of leaked art. Note that this isn't a screenshot. This is simply a piece of art that would normally be used in promotional posters etc. Notice the Quadrotor in the background. If this is a fake, it's pretty well done. 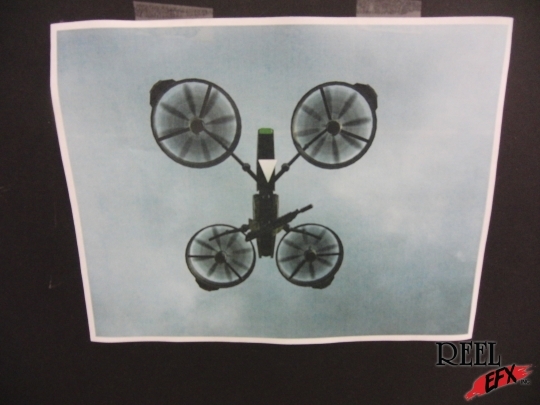 This looks to be a screenshot of the Quadrotor. If the teasers on the official COD site is anything to go by, this will be a killsteak. The picture above shows the Quadrotor from below. This is the most exciting screenshot of them all. As you can see, there are three killstreaks and a player character underneath. You can see the Quadrotor, an attack chopper and what looks like an Osprey Gunner. The cars also look to be the same kind of cars that we've seen in previous COD games.